When my brothers and I were little my Grandma June would bake Pumpkin Cookies all the time. Pumpkin was pretty much a staple in her house so it didn't matter what time of year it was there was always pumpkin cookies. My grandmother also took care of my brothers and I when we were little to help my dad out. So we spent a lot of time at her house. A lot of memories of my Grandma consisted of always baking some kind of sweet treat for us. My grandpa would walk me to preschool and kindergarten when I was little and my grandma would always be waiting after school to bake cookies with me. This is probably why baking cookies is more of a comfort to me than anything. It brings back memories of my grandma. When I moved away from Utah I realized that it is literally a Utah thing to have pumpkin cookies on shelves all year long. People in Utah just love pumpkin everything. So if you ever move outside Utah you need this recipe incase a strong pumpkin cookie craving comes on because you will be sadly disappointed that its really only a seasonal thing everywhere else which is totally expected but still really unfortunate for the pumpkin spice addicts! Gradually add each egg making sure each one is mixed in thoroughly. While pumpkin is mixing into batter sprinkle the pumpkin pie spice and clove. Add chocolate chips. Use 3/4 bag if regular size. Spoon by the tablespoon on to pan and Bake for 12 minutes or until the bottom edges look brown. TIP: Odd as it may seem she added the salt, cornstarch and baking soda after the pumpkin and the cookies have always turned out amazing. Also, she sprinkled a little pumpkin pie spice on each cookie before putting them into the oven. Okay so here is the deal. These little holiday cookies will most likely knock you over. They aren't super sweet but you can definitely taste the pumpkin spice in them plus they're iced with cream cheese. I mean... It sounds like my kind of heaven... Pumpkin and Cream Cheese. It was always meant to be. With today being elections day I chose to use the heart cookie cutter because america needs a little more love and a lot less hate. These cookies were made for a few Sisters that I visit teach in my ward and you wouldn't believe this but I accidentally delivered some cookies to the WRONG HOUSE!!! I was so sad!!! So someone else is enjoying these cookies :( which means i'll be making more in the future! These were probably the easiest Sugar Cookies I've ever made for using cookie cutters. Every sugar cookie recipe I've used with cookie cutters has always ended up with botched looking cookies so this one has won me over! Now they don't look like " Pumpkin Spice " but they sure smell and taste like they are! My kids helped me with these cookies and they had the best time! Plus icing the cookies are always a favorite of my kiddos. My 5 year old helped with icing and she did such a great job! Also sprinkling pumpkin spice over the cookies made it that much better! Cream butter, sugar together then add eggs gradually allowing mixer 30 seconds per each egg to be mixed in. Add amaretto creamer (you can use vanilla as well) and pumpkin pie spice. Using your 1/4 cup and flour a flat surface and roll out cookie dough then cut cookies. Grease pans and bake at 350 degrees for 6 minutes. Mix all ingredients together, then refrigerate. If your from Utah odds are you've probably had a Swig Sugar Cookies. Which also means your probably addicted. Its a probably a good thing I don't live in Utah anymore because just eating the dough alone leaves me with a giant stomach ache because I can't stop eating it! Its just so dang good! My other favorite from Swig is their Dirty Dr. Peppers but I will leave that one for another day. I made my first batch this summer while at my in-laws house and have craved them since. It never dawned on me to actually attempt to make them since I can't even buy a dang cookie thanks to being in the military and not being able to go there. See my little sister went to Dixie State and all she would ever talk about is Swig Cookies in 2010 so obviously I had to make a trip down south during a vacation stopped off and bought some cookies for me and my family (staying at my grandmas house a few hours north of St. George) and wouldn't you know I came back with NOTHING! Sorry guys! I couldn't help myself. Now living 6 hours from St. George I still have thoughts about making a weekend trip to Swig but I dont want to officially stick my own self in the crazy house. That just tells you how much I love these cookies! So here is my best shot or should I say attempt at these yummy little cookies! Mix butter, sugar, almond extract together. Add eggs one at a time mixing for 30 seconds before the next one. Gradually add flour. Mixing in whole halves at a time. Mix for about 30-35 seconds at a medium speed (4-5 speed). Add baking soda, cream of tartar, salt. Dough will be thick and sort of crumbly which is good! I let my dough refrigerate for about 15 minutes while oven is preheat to 350 degrees. OR roll dough into golf ball size balls (or even bigger) then refrigerate. Bake for about 6-7 minutes. While cookies are baking I also like to roll the dough into the balls then stick them in the fridge so they are ready to go. Cream - butter, sour cream and almond extract. Refrigerate till cookies are cooled then ice those bad boys! TIP: I also like to refrigerate the cookies for about 15 minutes after they've cooled. For some reason every time I've bought swig cookies they always feel cold to me. I've discovered my new found love of caramel. I've found that its delicious with everything! 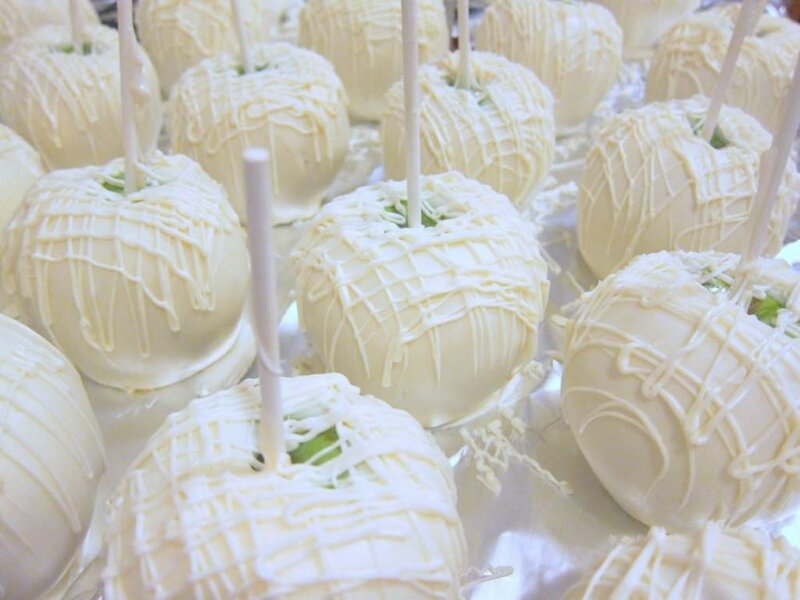 This season has been about all the yummy goodness that is Caramel Apple anything pretty much. So today me and the kids decided for our after school snack that we would make caramel apple bites. They were heavenly! I love that it was super simple being able to just pick them up easily with the toothpicks attached not to mention we picked out the most delicious toppings! I have to say Bacon was honestly the best! The sweet and savory was perfect together and we will definitely be making them again. Which got us thinking if these were so delicious then we have to try others! These are our top 6 favorite Caramel Apple Recipes that we want to try! So if you've tried them definitely leave a comment and let me know how they taste! I listed links below each picture for where the recipes are from! Enjoy! I'm not kidding either this recipe is absolutely foolproof! I'm finally giving it up guys. " Better Than Tollhouse " chocolate chip cookie recipe. Literally these are the best cookies you will ever make. I've given the recipe out to pretty much close friends and family only but its time that i let you all in on this little secret! Here's the deal. 5 years ago I decided I wouldnt stop baking till I could make a chocolate chip cookie that tasted better than Tollhouse cookie dough. WELL! I did it. I stood hours and hours in the kitchen making small batches of cookie dough to compare to my Tollhouse Cookie dough from the store. Until I added one ingredient that I felt made all the difference.... CORNSTARCH! Who knew?! It was delicious. My brother in law at one point when working at a pizza restaurant was using my cookie recipe, making the cookies and people were seriously paying him for them!!!! So pin this recipe now because you NEED THIS RECIPE! Mix flour, baking soda, salt and corn starch together in a small bowl set aside. Combine butter, sugar and vanilla in a mixer. Gradually add egg + yolk. Spoon tablespoons of cookie dough onto a greased pan. Let cookies cool! Also side note the cookies are SO MUCH BETTER THE NEXT DAY! Seriously or even cooled for 12 hours. For whatever reason they are better when they are not hot. Also I usually double the batch to make golfball size cookies because they are devoured quickly. Lastly I keep and extra 1/2 cup of chocolate chips on the side to put on top of the cookie dough right before it goes into the oven to make the cookies look pretty! Only have 25 minutes? Great! Your in luck! These Donuts are SO easy and so heavenly tasting it will be your go to treat plus who doesn't love donuts? But the best thing is that YOU are making them which means you get the first taste of amazingly delicious warm donuts! Who doesn't love warm donuts?! I love warm donuts! Everyone does! Literally I cannot emphasize this enough. MAKE THESE DONUTS. I made these for a get together and they were gone within the first 10 minutes! A little tip though. Do not wash the donut pan in the dishwasher. Hand wash and towel dry. You'll thank me later. Fresh Hot out of the oven coated in a brown sugar and cinnamon mixture. My house smelled like a bakery. I tried brown sugar and cinnamon as well as granulated sugar and cinnamon and both tasted amazing! You can never go wrong coating donuts in sugar! Mix pumpkin, cake mix and pumpkin pie spice together. Grease your donut pan so that the donuts easily release. After taking them out of the oven coat them in the cinnamon sugar mixture while donuts are hot. I'm pretty sure the entire world has heard of minimal ingredient recipes. And they never fail! So I'll make this quick. These are GOOD BROWNIES! Not kidding. They are thick. So you'll need to really mix the batter well. You can add water if you want too. I only cooked them for about 15 minutes. I made sure to spray my brownie pan with coconut oil (or whatever you prefer). If not they'll likely stick to the pan and apart. I made a Pumpkin Spice glaze and drizzled it over the brownies and they were delicious! The brownies are super moist. So cute though! The owl pan is from World Market also! I'll just start out that these were delicious. They may have not been super pretty but they were delicious! And Yes... Skyler approved of these as well so they get that Sky Stamp of approval! My friend from church told me that she uses a little cheat sheet with drawn circles on parchment paper under another sheet of parchment paper that is used so she can make perfectly circle macarons. Her macarons are gorgeous. This is my 3rd attempt at macarons so I say these are okay..
Obviously not gorgeous but they did turn out delicious and I only had to impress the family so it worked! I have used this recipe in other variations and it is a reliable recipe as long as you remember to whip the crap out of your egg whites. I'm talking STIFF PEAKS. My last blog post on Lavender macarons I had several people tell me their cookies turned into a runny mess. Your egg whites must be thick like whip cream consistency. Use a kitchen aid, hand mixer whatever you have that isn't your own hand or you will be sitting there forever. Sift almond flour & confectioners’ sugar together in a bowl to remove any lumps, set aside. In a clean, dry bowl, whisk the 6 egg whites to a foam (or soft peak stage). Once they are foamy, add a third of the granulated sugar, whip for another minute until sugar is dissolved; add another third of the sugar, whip for another minute; finally add the remainder of the sugar and whip for one more minute. Using a rubber spatula, gently fold the sifted mixture of almond flour & confectioners’ sugar into the egg whites. Add a few drops of food coloring as desired; keep in mind that the color fades a bit while baking. In a separate small bowl, whisk the remaining ½ egg white until frothy; then add to the final mixture, folding gently to slightly loosen the batter. Transfer the mixture to the piping bag fitted with the round tip. On a baking sheet lined with parchment paper, pipe macaron rounds 1 ¼-1 ½ inches. Lightly tap the sheets so the macarons spread fully. Preheat oven to 300° Fahrenheit. Allow the macarons to sit uncovered until they form a thin shell on the outside (so you can lightly touch the macarons without the batter sticking to your fingers). This will take anywhere from 10 minutes up to an hour on very humid days. Bake for 15-17 minutes until they form a slight crust. Allow to cool completely on baking sheet. Remove carefully & sandwich your favorite jam, frosting, or filling between two cookies—a little filling goes a long way. These should be stored covered in the refrigerator. If you can practice enough self-control, wait to eat these until they’ve spent the night in the fridge. I don’t know what it is, but something magical happens to these bad boys overnight & they taste twice as good the next day! Clear back to 4th grade (I just turned 25) I remember sitting in school listening to Mrs. Scoles read Harry Potter and the Philosphers(Sorcerers) Stone. And the magic started then for me. I think there was a huge obsession with witches at that time in my life. I actually recall reading any kind of book that involved witches. In school I dressed up as a witch for the book The Little Witch for a book report as well as making a diorama of a witch scene from the book The Witches. With that being said I took a liking to the entire Harry Potter series, so when the movies came out you can imagine how fun it really was for myself as a little girl. In July I started the books over this time listening to them on Audible. I am currently about to finish The Goblet of Fire but can I just tell you how awesome it is listening to the books! I am a mom of routine which means I have a lot to do. So what better way to fold laundry or run on the treadmill than to listen to Harry Potter while I do it! This last weekend we had a Harry Potter marathon. It started Friday and ended Sunday Evening. So Friday while Imogen was at school I baked Hogsmeade Pumpkin Pasties we also made Butterbeer to go with our Pumpkin Pasties. They were delicious! Imogen couldn't believe that we were eating the same food that Harry Potter had eaten while on the Hogwarts Express his first year on his way to Hogwarts School of witchcraft and wizardry. He bought them when he had realized that Ron did not have much to eat on their train ride. You can bet that as soon as that bell rang Friday afternoon Imogen ran like the wind so we could race home to get our Harry Potter Marathon on. Both of my girls loved them and I know that Artis (the 7 month old) would have too had he tried them. And if you've read my blog before the ultimate judge of all my cooking is Skyler(husband) his opinion counts and I will say this. Nothing that does not get his approval makes the blog. So that should tell you just how delicious these were. Not to mention incredibly simple. They are literally handheld Pumpkin Pies. Served best when warm. And of course eaten with a mountain of whip cream even though they really did not need it at all. Mix pumpkin, sugar, pumpkin pie spice and butter (softened) together. Roll out Pie crust. Using a circle cookie cutter or mason jar lid cut as many circles out of your pie crust as possible. Mix egg mixture together to make and egg wash. Then brush the egg onto the cut out pieces of crust. Place a tablespoon of the pumpkin mixture in the middle of the pie crust. After doing so place another circle cut out pie crust on top. Use a fork to seal the ends together. Sprinkle on ground clove and brown sugar over your egg washed pie crust. Place your pumpkin pasties on a parchment paper lined baking sheet. Serve Warm with lots of whip cream! Enjoy! Let me know how you like it! As August comes to an end I have put together a delicious recipe that will make anyones taste buds dance! In celebration of our Avocados ripening within the next month I wanted to give out one of my most favorite recipes. Now I'm a little sad thinking about it because we are moving next July which means no more free avocados. We moved to our little home in September 2014 here in Southern California and to our surprise there was a giant avocado tree in the front yard. This tree has mostly been a blessing. We do have our crazy avocado thieves that come mid October load up their tiny truck bed with hundreds of avocados and pretend to not speak english when they're caught as well as plumbing issues because the trees roots grow into the pipes in the front yard. Its been a little crazy but it makes up for the fact that we get organic avocados! Now these are no haas avocados these bad boys grow to be the size of softballs they are called Hall Avocados! They are ginormous and delicious. They also stay this pretty green color they dont go green to black. Also! When you pick them if you leave the stems attached with a leaf they stay good longer. Usually we have to put the avocados in a Brown paper Trader Joes bag and put them in the cupboard for about 3-4 days to speed up the ripening process. All the time people say they're not ripe if you pick them and they're not ready to eat but that is not true. We have avocados on our tree clear until January and they're still this way. There are hundreds of avocado varieties!!! I believe only 7 types of avocados are grown commercially in California. This recipe is really simple but you need to make sure you do exact measurements on each ingredient otherwise it will throw off the taste. Too much avocado will have the mousse tasting more mild and not sweet like you want it. Too much cacao powder will make it bitter. Keep that in mind. 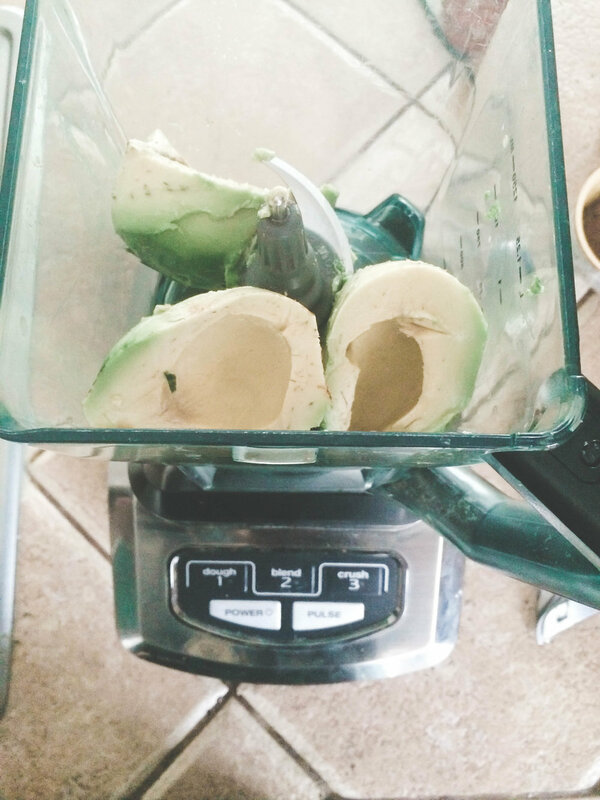 Put all your ingredients into a food processor (blender works fine but make sure all the avocado is completely blended up or you'll have chunks of avocado in your mousse). Refrigerate for 10 minutes before eating. This Vanilla!!!! I've tried other Vanilla extracts but feel this one makes all the difference. Let me know how yours taste or if you add anything different! This is literally my favorite cake I have ever made! And I'll be quite honest with you. When Imogen FINALLY decided she wanted the cake she did my heart did a little dance. As you know I love Autumn and all it brings. Halloween is my favorite holiday so I knew that this had to be good. We spent a good week deciding on cake. She threw 10 different ideas at me and this one was the last one. I can't say I am surprised at all. I am almost positive the love of Autumn has got to be a genetic trait. I am sure of it. I think it was more of a last minute idea to do an Ombre style cake. This was my first ever attempt. It did not turn out as pretty as I had hoped but I dont think I could have done better when it was a last minute idea. I for some reason thought it would be a good idea to mix the coloring into the batter while in the cake tins. Yep. Rookie mistake I will say that for sure. But it did not make it taste any less amazing. These cakes were not leveled well enough to save my life! BUT! again the cake tasted amazing and I watched enough youtube videos on how to save cakes that I made it work. And this was the prettiest crumb coat ever. OK! Before you start judging my cake you should know this was thee most moist (hate using that word but it describes perfectly) cake I have ever tasted. And if you know my husband (foodie, food lover, food critique extraordinaire) he is my judge of all my cooking. He will tell me if my food taste terrible. With that being said. He said that this was the best cake he had ever eaten. I KNOW! I couldn't believe it. I was seriously in pure shock. Who knew an almond flavor cake could win his heart over? Had I known this I would have made it 6 years ago! See when I cut a slice I thought this is way too sweet. But I didnt take into consideration that my husband does not like eating sweet frosting. So the verdict? Basically 3 days after Immys birthday the cake was gone. And I was shocked. I'm definitely going to convert this Almond Cake recipe into a cookie recipe. Cannot wait! And the 5 year old? She said " Mom you rocked it! " What!!!! She is so awesome! I love her so much and cannot believe I'm a mom to a 5 year old cutie! Happy Birthday Imogen Skye! Your my favorite 5 year old ever! I can't wait to look back on these photos and remember how she came home from school and told me she loved her fancy cake. This is what blogging is all about people. Writing these memories and sharing this happiness. Preheat oven to 350 degrees F. Butter the bottoms and sides of three 9-inch round cake pans. Line with parchment paper; butter parchment. In a large mixing bowl or the bowl of a stand mixer, combine flour, sugar, baking powder, and salt. Mix to combine. Add butter and 1 cup of buttermilk. Mix on low speed until flour is evenly moistened, then increase speed to medium-high and beat until light and fluffy, 1 to 2 minutes, scraping down the sides of the bowl as needed. In a small bowl, beat remaining 1/4 cup buttermilk with eggs and vanilla. Add to the batter mixture one-third at a time, mixing well after each addition. Stir in sprinkles. Divide batter evenly among prepared pans. For the frosting start by adding your softened butter to your mixer. Use the paddle attachment. If your dont have a paddle attachment then stir by hand. Mix for 4 minutes until butter is creamy and white looking. Next add in the powder sugar. Add in by the 1/2 cup and let it mix for about for about 30 seconds before adding each 1/2 cup. Next add in heavy whipping cream and almond extract. Mix for 2 minutes. If you choose to add in icing gel add about 1/2 tsp for a darker violet color. Refrigerate for about 30 minutes before icing cake. Also icing a frozen cake will help with getting smoother frosting. Do a fine crumb coat then refrigerate the cake for 30 minutes or overnight. After a minimum of 30 minutes refrigeration using a bench scraper ice the frosting onto the cake. You of course dont need a bench scraper but it helps with getting a smoother look. For this cake i wanted to do a slight dirty icing look as it was a Halloween cake. Enjoy! Cake should be good for up to a week refrigerated! So yesterday I had a major sweet tooth and needed to fix it some way or another. So I looked in the pantry for what I could use and literally I had these few ingredients on hand. --- Backstory we got back from Vacation a week ago today. So we pretty much only have staples in our house. Nothing out of your normal fruit, veggie, protein, cereal, almond milk grocery list. --- So it was Sunday and we don't believe in going out on Sundays just for the fact that we dont like working on Sundays so we don't feel like we should make others work on Sundays by going out and buying things. However if you do thats okay to each his own. This was the easiest and probably the healthiest pie I have ever made. Seriously. I am not joking there really isn't anything remotely close to being unhealthy for you in it. And actually after figuring out the servings 1 serving of this pie is the equivalent of 1 serving of fruit! So take that normal pumpkin pie that is amazing and delicious! Mix Pumpkin, Bananas, Coconut flour and maple syrup together. Using your parchment paper press down pumpkin mixture into a glass pan so its even and reaches all edges of pan. Bake in the oven for 8 minutes. After its done, cool for 10 Minutes. And Enjoy! ALSO! If you want to get fancy you can add Paleo Whip Cream! Make sure to refrigerate Coconut Milk for at least 8 hours ahead of time. Mix Coconut Milk, Vanilla and Coconut sugar together in a mixer at 8 speed for about 5 minutes so its stiff. Then serve. Make sure to refrigerate remaining. - Also this picture is from dinner last night so if you are wondering what I had its called Sicilian Chicken Sausage from Trader Joes and yes. It was DELICIOUS. This salad is probably the best salad you'll ever eat for multiple reasons. But for the 2 biggest and major reasons its because 1. Its incredibly delicious. Its always important to me that food taste good and has good texture. My husband he loves good food but if something is nutritious and taste terrible he'll eat it anyways and I am just not like that at all. I love to savor the ingredients. Food definitely needs to be palatable 2. It has power foods. If you know me then you know that I am big into eating power foods. If I can eat anything that will ensure that I will get lots of vitamins via food then heck ya! I am bound to be eating it! Plus this salad has tons of ingredients that you can snack on alone! As a mom of three I am always on the go so I snack a lot of and eating power food snacks helps with just that. Being on the go. Plus I breastfeed too so I know my little dude is getting the best possible nutrition. Also this is paleo! I always like to say that although I do try to eat mostly paleo I do believe eating things in moderation is OK. In a large mixing bowl, combine the kale, broccoli, carrots, bell pepper, scallions, parsley, sunflower seeds, sesame seeds, and dates. In a small bowl whisk together the lemon juice, olive or coconut oil, maple syrup/honey and ginger to combine. Pour the dressing over the salad and toss to coat. Season to taste with salt. Let salad stand at room temperature for at least 15 minutes before serving. Also! I really love adding edamame and thin coconut chips to the salad. Like I said I love texture! Let me know what you think of the salad or if you add anything different! I love changing it up! 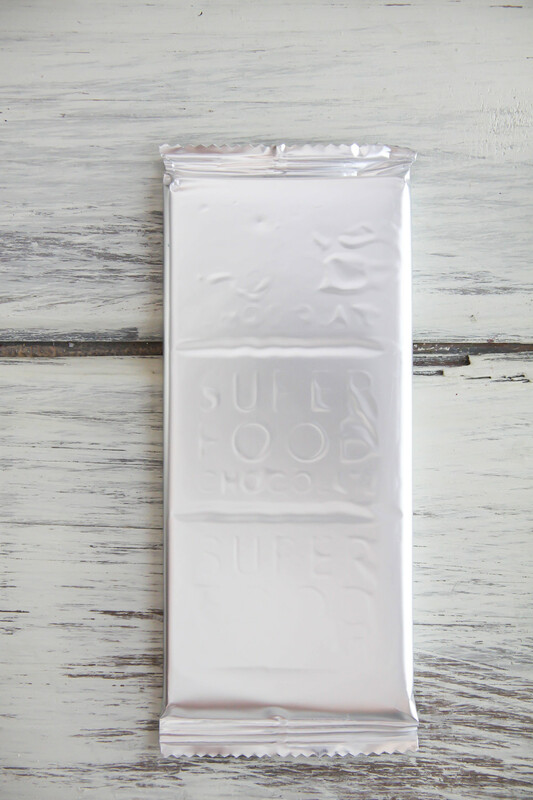 I know when you think of " Super Food " you probably think something green or something extremely healthy and probably not delicious. I know! Me too! I'm right there with you. However I'm about to totally change your mind when it comes to Super Food! What is a Superfood anyways? Glad you asked! A superfood is food that is PACKED with vitamins! Nutrient-rich food considered to be especially beneficial for your health and well-being. A food (such as salmon, broccoli, or blueberries) that is rich in compounds (such as antioxidants, fiber, or fatty acids) considered beneficial to a person's health. Superfoods increase energy and vitality, regulate cholesterol and blood pressure and may help to prevent or fight cancer and other diseases. So what foods can I eat to get all the awesome benefits of Superfoods? This is a good list of Superfoods and although there is no official evidence on whether or not Superfoods claim to be " Superfoods " the fact of the matter is, is that these foods ARE GOOD FOR YOU. Most if not all of these are foods that any one person would probably not gain unhealthy weight from. Its always a good rule of thumb to obviously eat all things in moderation. With that being said one of my favorite Superfoods is Cacao Chocolate and Coconut Oil!!! MMM! Did you know that it can potentially battle free radicals, aids in depression, digestive health, weight loss and cardiovascular health! You don't have to tell me twice. I'm definitely adding more of this into my diet. Now! After a little lesson on Superfood, on to that Recipe! This was extremely simple however if you have somewhere to go I would not make these till you have at least an hours time that you can spend melting down chocolate, chopping nuts and dried fruit. First layout your parchment or wax paper on a cookie sheet. Prepare your mixed nuts by picking which kinds you would like and chopping them up to bit size pieces. Do this with your dried fruit as well. Break up your Superfood Chocolate bars in a small mixing, microwavable safe bowl. Add in 1/2 Teaspoon Coconut Oil. Microwave them in 30 second intervals. ( I did this for 1 minute and 30 seconds.) Any remaining unmelted chocolate chunks can be stirred and will melt with the rest of the chocolate. You do not want to burn your chocolate by microwaving it for too long. Begin by spooning chocolate and drizzling over the parchment/wax paper till you have your desired amount. Sprinkle nuts and dried fruit over the chocolate. Refrigerate for 30 minutes before eating. Tip: Keep refrigerated as the chocolate melts quickly when touched. Also when storing your bites, I put parchment paper in a container and set them inside. This will ensure they stay cool and do not melt. ENJOY! Let me know how you like them! I'm Alexa Anne, Momma of three cuties. Owner of The Luna Doula Birth Services. I love Photography, Painting, Writing, anything DIY. There are only two times a year. Autumn. And waiting for Autumn. We'll never give out your info!